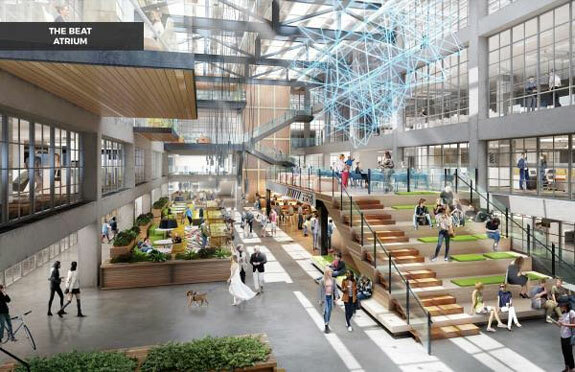 The Boston’s Globe’s former office site is poised to be an “Innovation Campus” to foster growth and creativity for our economy. Expected delivery is in the Fall of ’19. “The BEAT” (The Boston Exchange for Accelerated Technology) will be a life science, technology, and advanced manufacturing facility, a Nordblom spokesman said, its name an homage to the beat reporters who worked in the newsroom headquarters for more than 60 years before the paper moved downtown in 2017, a nod to the nearby Red Line as a neighborhood artery, and a gesture at the lively and open space they hope to cultivate at the fortress-like site. The proposed plans for the Flower Exchange have been released by the Abby Group. You can read the full article on the Boston Globe, here. 0	South End Office Building Slated for 321 Harrison Ave. 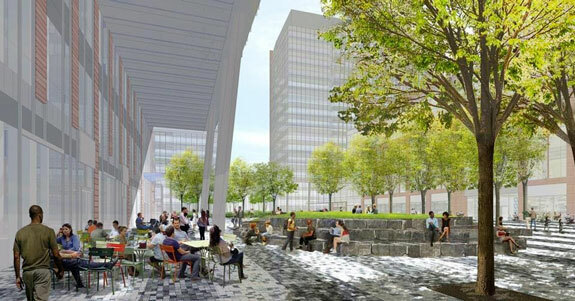 The South End is not known as a large office market with only 13 buildings totaling 928,626 square-feet, according to CoStar; however, a new 11-story office building at 321 Harrison Ave. overlooking the Massachusetts Turnpike was recently approved. The $80 million project, to be built by Burlington-based Nordblom Development Co. and New York-based investment firm Rubenstein Partners, would be the first new office building in a section of the South End that has seen a flood of housing development in recent years — more than 1,000 apartments and condos within a few blocks. The mid-rise, with 230,000 square feet of office space on eight floors above a three-story garage, would stand alongside and share a lobby with an existing office building next door at 1000 Washington St. that houses state agencies. The Boston Flower Exchange site could be home to a new Tech Exchange site employing 5,000 – 10,000 people and rival that of Kendall Square in Cambridge. You can read the full article on the Boston Globe’s website. What’s in a name? In short, research. 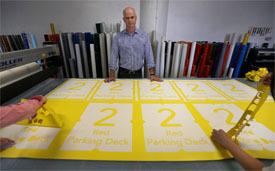 The goal is for the name to project the building’s identity and brand to its current and future prospects. Krista Bourque, creative director of Branding Iron, a real estate branding studio inside Boston architectural firm Stantec, says a lot of research and thought goes into a name, including the history of a site, the surrounding neighborhood and an evaluation of the strengths and weaknesses of the competition. 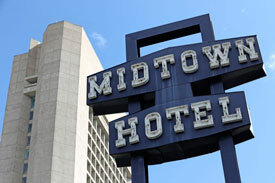 She says a building’s name is a big part of its brand identity and how a property is perceived by its investors, potential buyers or renters. “Giving a building a name is about giving it a personality and creating an image that differentiates it from the competition,” adds Brenda Adams, owner of Adams Design, who has been naming projects since 1990, including the South End’s Penmark and North Station’s Strada 234. The city of Boston continues to expand by building more residential and office buildings in areas once thought too far from the mainstream. Industrial and flex users have felt that impact along with office tenants that occupied old industrial buildings that have gone through complete renovations. 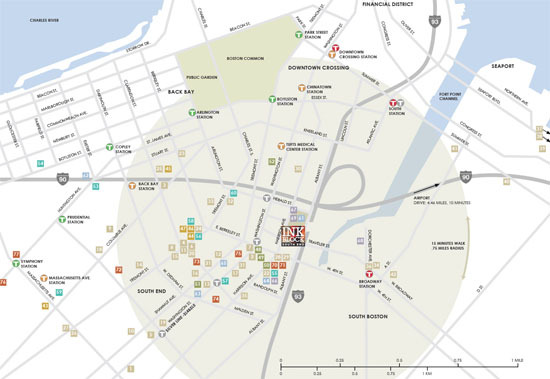 $12 PSF office rents in the Boston Wharf portfolio from 15 years ago are now in the upper $40’s PSF. Yet as real estate prices surge and development pushes into places that were long neglected, the pressures are rising on industrial space all over the city. 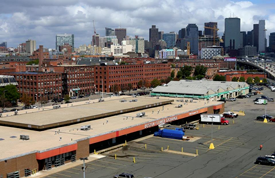 Boston has just 3.6 square miles of land zoned for industrial use, less seemingly every week. Two prominent properties in the South End, for example, Quinzani’s Bakery on Harrison Avenue and the Flower Exchange on Albany Street, are being sold to developers. Bridj is on the move and parked on Newbury Street. 283/285 Newbury Street offered an experience that aligned well with vision of Matt George, Bridj founder and CEO. 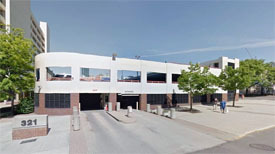 Off street parking, roof deck and 3 floors of creative space. Bridj has elected to share this experience through Pivotdesk, have a look and see if it works for your growing team. 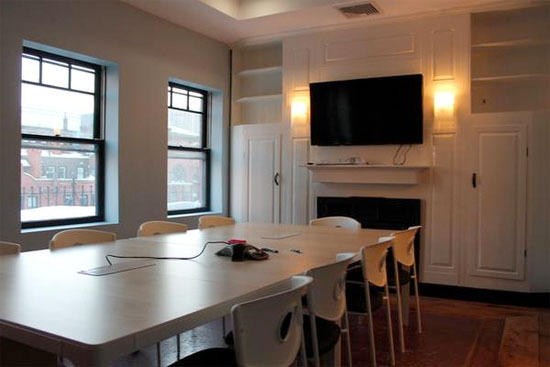 The company moved out of a co-working space at the Cambridge Innovation Center into a 5,400-square-foot space at 283 Newbury St. in Boston earlier this year. “We were outgrowing the CIC and while co-working spaces are great and they have lots of benefits and amenities, it’s really hard to start building your own culture (there),” said Ryan Kelly, Bridj’s marketing manager.